Microsoft has just released a new firmware update for the Microsoft Surface Pro (2017) LTE (Model 1807) and non-LTE (Model 1796) devices. Each model will receive a different set of firmware updates respectively. The new firmware update will improve Surface Pro (2017) battery life and reliability. It also patches your devices from some potential security vulnerabilities. 234.2110.770.0 resolves potential security vulnerabilities, including Microsoft security advisory 180002. 233.2110.770.0 resolves potential security vulnerabilities, including Microsoft security advisory 180002. If your Surface Pro (2017) hasn’t yet installed the update, it should be displayed in the Windows Update now. You can also download cumulative and current firmware and drivers for Surface Pro (2017) here. 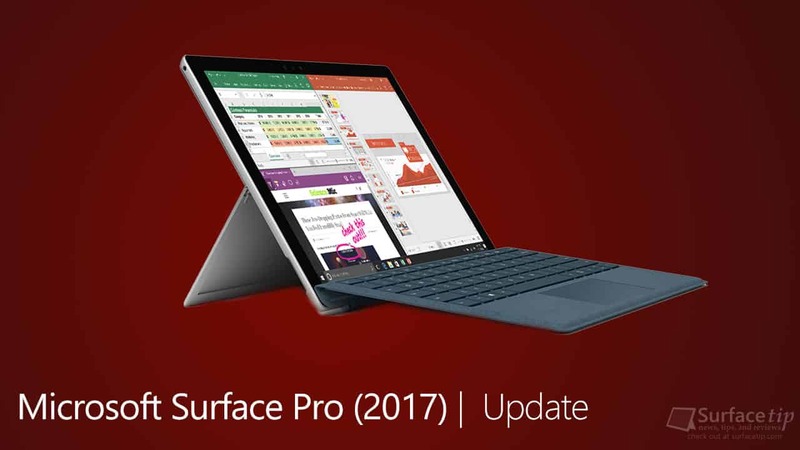 We appreciate hearing your thoughts, questions, and ideas about “Microsoft Surface Pro (2017) Gets Firmware Updates for March 2018”. Please post respectful comments and on topic. We will be replying back to you as soon as possible. Share your idea about "Microsoft Surface Pro (2017) Gets Firmware Updates for March 2018".